The Edgefield County Sheriff’s Office was notified of a possible bear sighting on Woodyard Road in Trenton, Monday, Jan. 14; two possible bears to be exact. According to an ECSO report, an Aiken County man told law enforcement that he was walking down the 600 block Woodyard Road when he saw what he believed to be two bears on the side of the road. The man stated that he yelled, and the bears ran into the woods. Law enforcement did patrol the area but were unable to locate the bears. Jail staff at the Edgefield County Detention Center found counterfeit money in a wallet belonging to a suspect who was being booked into the jail, Wednesday, Jan. 16. According to an Edgefield County Sheriff’s Office report on the incident, as a jailer was counting money in the suspect’s wallet as part of the booking process, a $100 counterfeit bill was found. The bill was confiscated and turned over to evidence as to the ECSO. The suspect, who had been arrest by the SC Highway Patrol for Possession of Methamphetamine, Allowing an Unauthorized Person to Drive a Vehicle, and a license violation, is now also charged with Possession of Counterfeit Money. 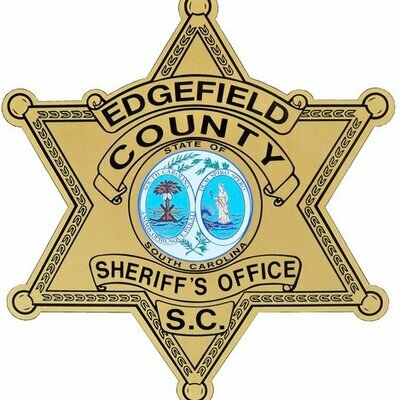 The Edgefield County Sheriff’s Office responded to a call of a stolen ATV at a residence on the 1100 block of Stephens Drive in the North Augusta section of Edgefield County, Thursday, Jan. 17. According to the ECSO report, the homeowner was awakened in the early morning hours by his dogs barking. The homeowner stated that when he looked outside, he saw 2 individuals attempting to drag a 4-wheeler from his property. The homeowner stated that at that point he turned on his outside lights and opened his window at which time the suspects ran to a parked vehicle across the road and left the scene. The owner of the home then went outside to discover that one of two ATVs that had been parked next to his shed was gone. The stolen 4-wheeler is described as a blue Yamaha 1100cc that is not in operable condition. The homeowner stated that the vehicle used in this theft appeared to be a small pickup truck.